My Older Brother and I - There is Magic in the Air! My older brother and I, what can I say? We've had a really weird journey through our life together that suddenly changed direction last night. I am in awe and full of gratitude. I have to share our background to truly explain the full depth of how touched I am. I and my two brothers (one younger, one older) grew up as children of a Christian minister in a small town in the Midwestern United States back when religion was heavy business focused on sin. The box we lived in was very restrictive in terms of expectations, especially as the children of the minister. 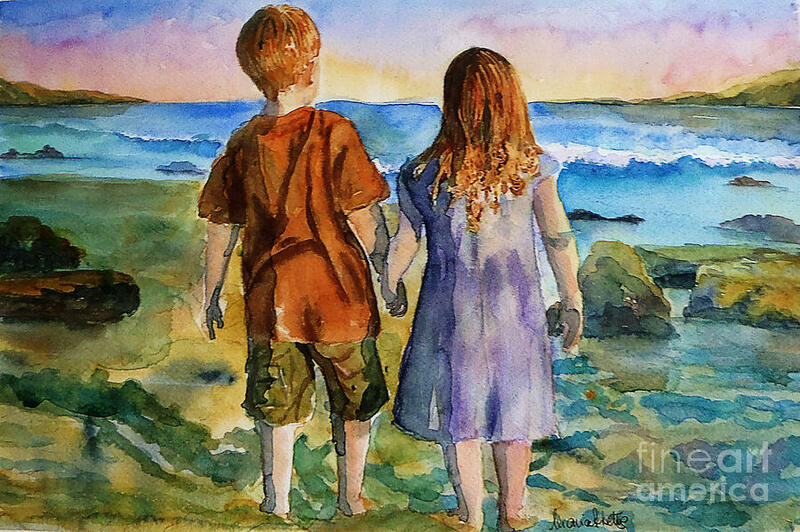 While our dad did try to focus on God's love, the message all around tended to be dark and hell loomed for those who failed. It was absolutely impossible for me to fit in that box and I became a lightning rod for disapproval from both my parents and the congregation. 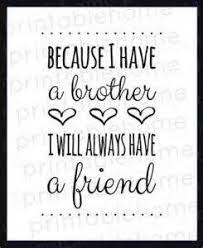 All through my childhood and teen years I thought my brothers were doing fine with the demands, that I was the only one who couldn't get in step. I learned much later in life that was not true. They just hid things better. My younger brother and I walked away from organized religion. In the end, I began to move towards an acceptance of spirituality in a broader more universal sense, while he holds no beliefs one way or the other. We both embrace people's right to choose their own direction, religion, political beliefs and sexuality. Our older brother headed the opposite direction and embraced the church fully. First he worked at a religious university and then he became a Vice-President in a large Christian organization which promoted and supported right wing religious beliefs. I am pretty sure he and his wife voted for Trump. We continued to love and support each other but have had to avoid certain topics of conversation. Then twelve years ago my older brother was diagnosed with Parkinson's. He has been fortunate that medicine has allowed him to live a fairly normal life, but along with some physical limitations, there have been spiritual awakenings during this time that surprised me. I began to notice a shift in his outlook - a more open acceptance of new ideas as well as my personal beliefs. It was thrilling to have deeper conversations without conflict and I commented often how we no longer seemed so far apart in our ideas. 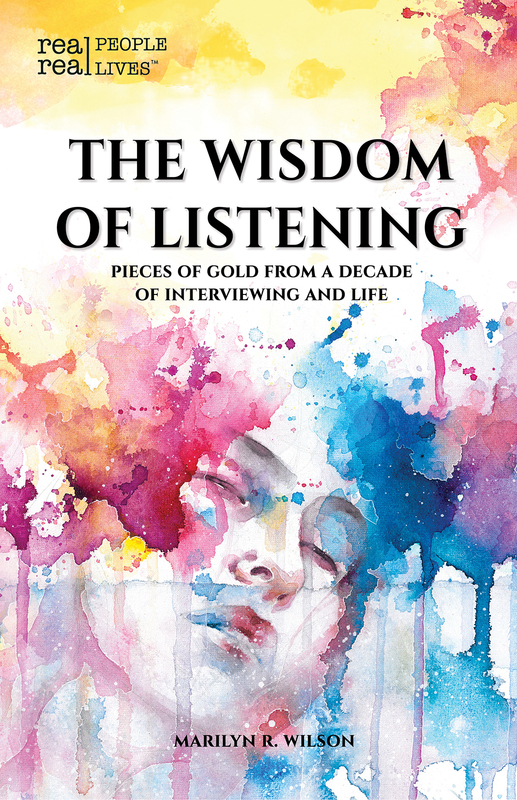 Last night he phoned to thank me for sending him a copy of my new book - The Wisdom of Listening: Pieces of Gold from a Decade of Interviewing and Life. Over the course of an hour we talked about our children, our work and life in general. We laughed about becoming the matriarch and patriarch of the family. Then our focus turned towards me as a writer, my book, what I was expected to do to successfully market it and more. Suddenly my brother seemed to be channeling my mentor - Sue Dumais. How very strange and wonderful! 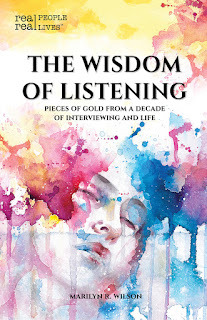 He quietly listened to the ideas I had based on everything I had been told I SHOULD be doing to get my words and the wisdom of others out there. Then he shared that while I was talking, he had an image come to mind. He shared what that image embodied and the sense of wrong that arose in him. I felt like I'd been zapped. His words and vision resonated deeply. Next my brother guided me back to what I have always said about my writing. It has NEVER been about making money. It has ALWAYS been and still IS about giving wings to the stories and wisdom of others. It IS about waking people up and getting them to look at who they hold up as role models (such as reality TV stars) and offering them new ones. If I could afford to, I would happily give my books away to get them in the hands of readers, particularly students - sowing seeds of wisdom like Johnny Appleseed. From here we went on to discuss my passion for mentoring students and that perhaps I should really explore that direction further. Each of these comments was a drop in my pond, creating ripple after ripple. NOW FOR THE MAGIC - I made the typical hanging up noises and my brother asked me to wait for a minute. He had one last thing to say. As Patriarch of the family he wanted to - in my deceased father's stead - bestow the blessing of the family on me. He anointed my head and affirmed my family's belief in my path as well as their full support for all I was doing. 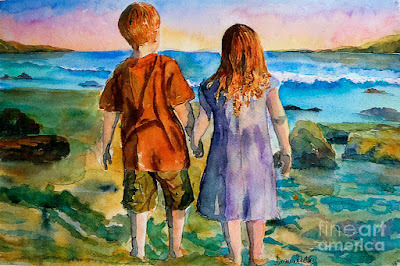 And he ended by saying although my father could not do this because he passed so young, he knew in his heart, if he had lived long enough, he would have come to understand and celebrate my journey and have proudly stepped in too bestow this blessing himself. Tears poured. In fact, they still appear as I share this. If you had ever told me my older traditionally religious brother would say these words validating my journey, I would have said you were dreaming. I continue to say you never know who is holding that "piece of gold" you are waiting for. It is so true. The universe spoke in a powerful way yesterday. Time to re-embrace the unique path I feel led to walk as an author and not be distracted by outside noise.